Philippine Tourism Attache Margarita Valdes (2nd row, 6th from right) is joined by Musical Director Ma. Lourdes Hermo (2nd row, 7th from left) and the Virlanie Voices after the choir´s benefit concert in Voerde, Spellen, Germany. Virlanie Voices, led by its Musical Director Ma. Lourdes Hermo, presented two benefit concerts in Spellen, Germany on 4 and 5 May 2018. 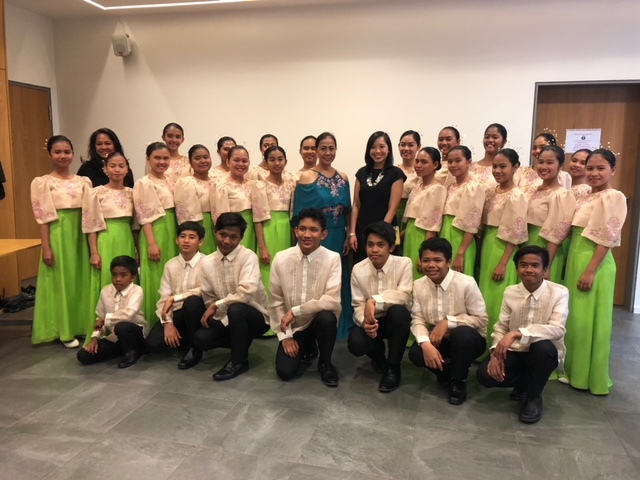 Tourism Attache Margarita Valdes, who represented the Philippine Embassy in one of the concerts, said that the choir left its German audience in awe with a wide repertoire of Filipino, Latin, and English pieces. 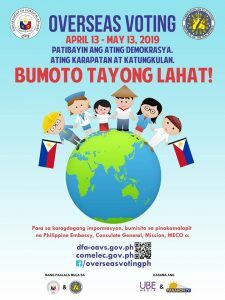 Clad in their traditional Philippine attire, the group performed folk songs which included Waray-Waray, Ili-ili tulog anay, Rosa Pandan, Tilibum and Ollonno. The choir also regaled their audiences with popular tunes like Somewhere over the Rainbow and Tagumpay Nating Lahat .